We now turn from all this healthy positive spirit to the morbidly negative picture of local politics. 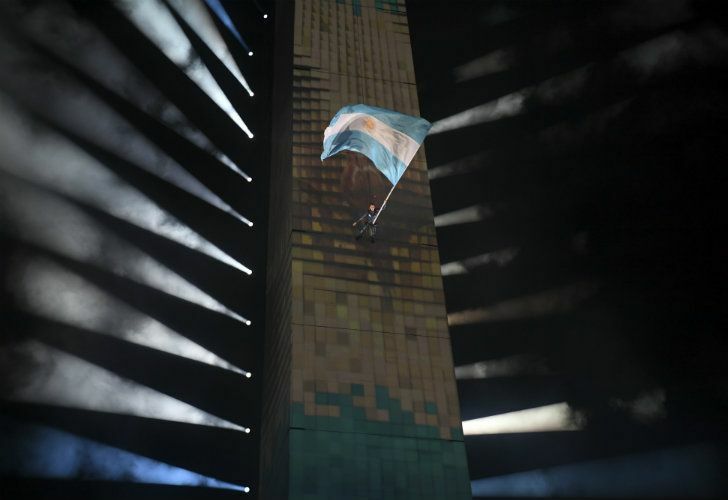 The week now ending has given us contrasting glimpses into the past and future on two consecutive days – Peronist Loyalty Day on Wednesday and the grand finale of the Youth Olympics the following day. Perhaps the former should be renamed Peronist Loyalties Day since its celebration was so fragmented – not that the government can throw any stones here at the moment from the glass house of its fragile coalition (where the verbal fireworks of the maverick deputy Elisa Carrió are but the tip of the iceberg). In contrast to this blast from the past, the focus and discipline of the individual athletes and the teamwork of those competing together, along with the spontaneous enthusiasm of the huge if sometimes chaotic crowds offered a rare hope for the future in these despondent days. The Games exceeded the expectations in every way (ranging from the number of medals to the relatively smooth organisation) but they were absolutely unique in at least one respect which has gone unnoticed – even more unique than free entry to such a magnificent spectacle in these times of soaring prices. This medium covers a vast variety of news from the 206 countries represented at the Youth Olympics and from every sphere of life (political, economic, social, cultural, sporting, etc.) while the men and women in the news represent every opinion, ideology, religion, psychology, etc. imaginable but this innumerable cast has just one thing in common – except for some crime victims (Sheila Ayala this week being the latest tragic example), every single name was born in the past century although we are now almost two decades into the 21st, even the so-called Millennials who grew up rather than were born in this century. How absolutely unique then for a newsperson to witness an event in which all the publicity for almost a fortnight falls on hundreds of people all born in this century. We now turn from all this healthy positive spirit to the morbidly negative picture of local politics. 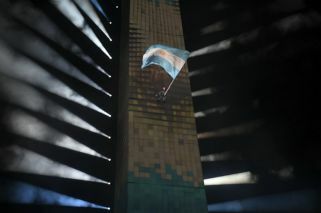 Indeed even more deplorable than the fragmentation exposed by at least six major rallies last Wednesday is the total lack of any constructive alternative coming from Peronism – so badly needed when the most expert economic team in decades has somehow left the economy so adrift. Nothing but the most intransigent opposition can be expected from President Mauricio Macri’s predecessor, Senator Cristina Fernández de Kirchner, from the moment she shunned the transition between governments but the moderate Peronist leader Sergio Massa’s performance in Washington this week is especially disappointing in that respect. Yet rather than deepening this criticism of either Massa or Peronism, it would be more important to stress that the deadlock is mutual, thus making the problem of dysfunctional politics even more acute – the opposition cannot take decisive political advantage of the economic problems owing to its own lack of a credible alternative, while the ruling coalition cannot thrive on Peronist disunity because of its own divisions. Much as Carrió loves to hog the limelight, it would be highly simplistic to see her tantrums as the only cracks in the governing coalition (even if it would also be dangerous to underestimate her constituency in the light of the Jair Bolsonaro landslide in Brazil) – thus such a central pillar as Buenos Aires province Governor María Eugenia Vidal is in earnest in pushing for 19 billion pesos more compensation fund money from a shrinking budget while the venerable Radicals are attempting a revival under the iconic name of Ricardo Alfonsín. Perhaps the futuristic torch of the Youth Olympics has shone so brightly in the last fortnight because both past and present offer so little.